We are a family of 3, working on alternative education, coaching for self awareness, women empowerment, and conflict resolution for over 15 years. 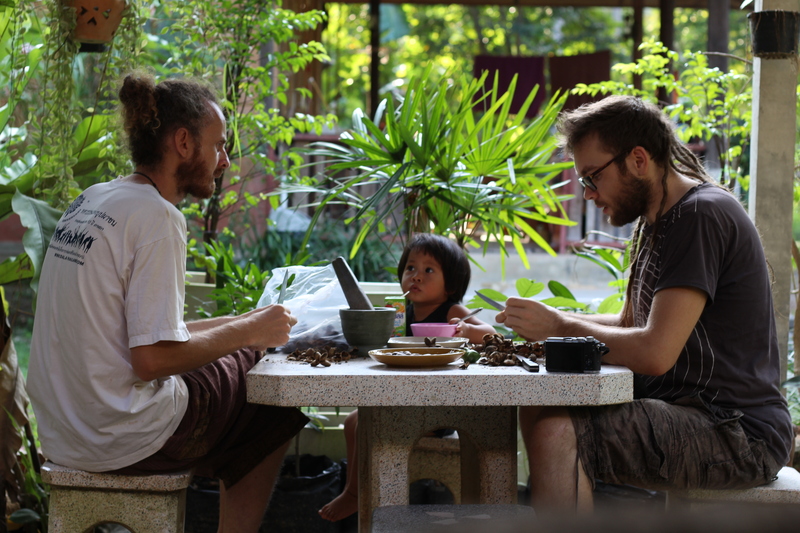 We moved to live in a garden for the last 6 years and started to plant trees and build houses for ourselves, volunteers and visitors we often welcome. We started to teach English at the local school a few times and see the needs for community development. 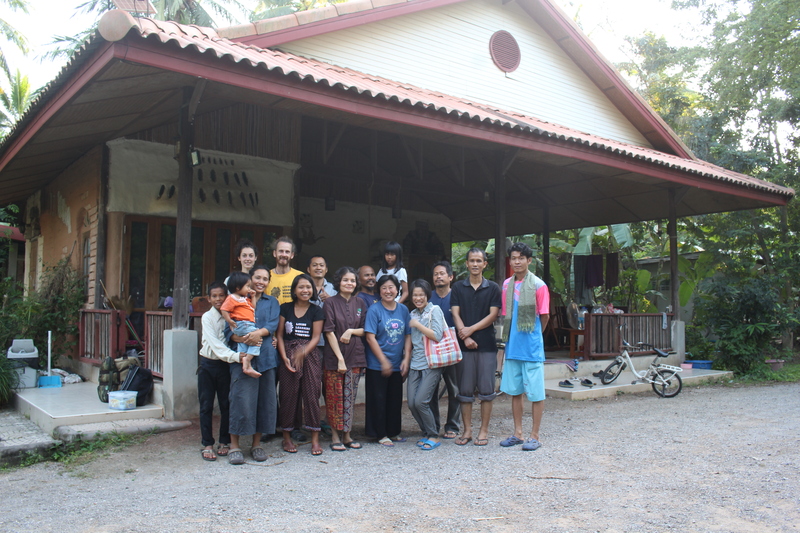 We would like to promote alternative education, self-reliance and working with Thai and foreign volunteers to improve the life of the community and society. – To improve the self-awareness of kids and young people and provide a creative space to express themselves. 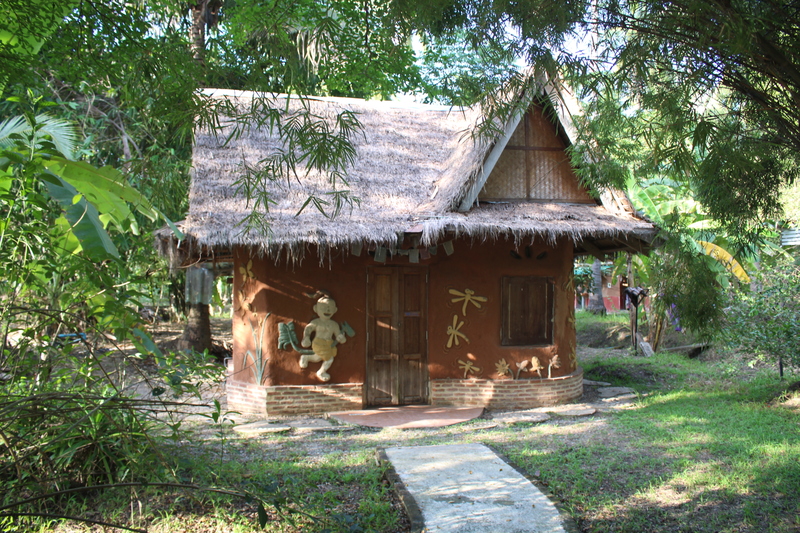 – Volunteers will organize English and Art lessons and games to primary school children (7 to 12 years old) both at the community schools (2-3 days a week) and at the Garden of Tranquility. 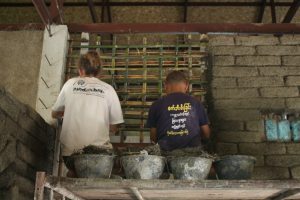 – Volunteers will work on an artistic clay building. We finished building 2 clay houses and 1 library. 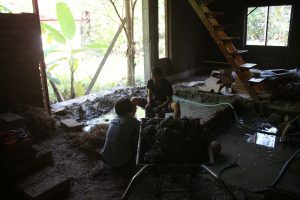 We are now building a big meditation hall and family house, plus another volunteer house, all from clay. 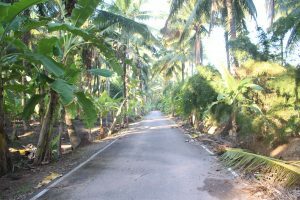 – Volunteers will grow vegetables and plant trees, water them, make compost and collect fruits like bananas and mangoes. – We will discuss and practice exercises for self-awareness. 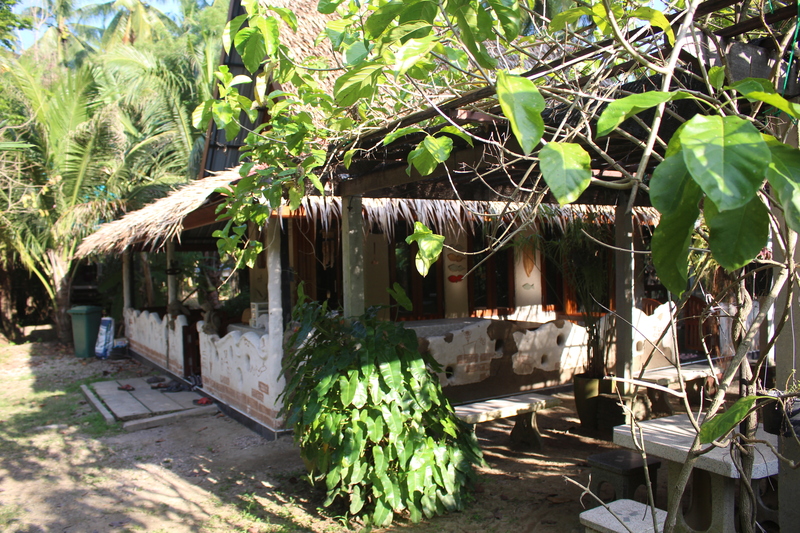 – You will have chance to discover the community and the area around the Garden of Tranquility. – Volunteers should be interested in education for children, ready to lead a small group of kids on a chosen activity: English teaching, art or other. – Volunteers should be ready to adapt to the Thai, local way of life, and willing to create relationships with volunteers’ friends, hosts and local people. Some difficult points could be mosquitoes and insects, eating rice at every meal, language and culture barrier, missing feedback, changing plans often. – Volunteers should be able to stay in a remote environment, without public transport, not expecting to go to town or city often. – Volunteers should be ready to put their hands in the dirt both for gardening and clay building. – Volunteers should be able to take responsibility for themselves and the team by taking care of their health and security and be fully involved in the daily tasks and discussions. **As we have a kid, we do not want our kid to see volunteers drinking and smoking in public area at the garden. We provide a specific space for this. ** Clothes worn in the village- schools and temple: skirts or shorts long enough to cover your knees also when you are sitting. Women should wear tops that cover their shoulders, no low neckline. Bikinis are not appropriate to swim if you go on holidays. Please wear long shorts and a top instead. – We will take turn to cook 3 meals a day, suitable for vegetarians. – Volunteers will live in a small clay house. – Mosquito nets, pillows, blankets and mattresses are provided. 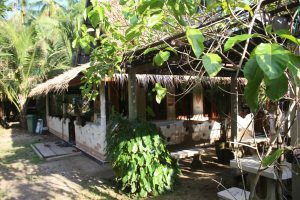 – Good quality shared bathrooms and kitchen.